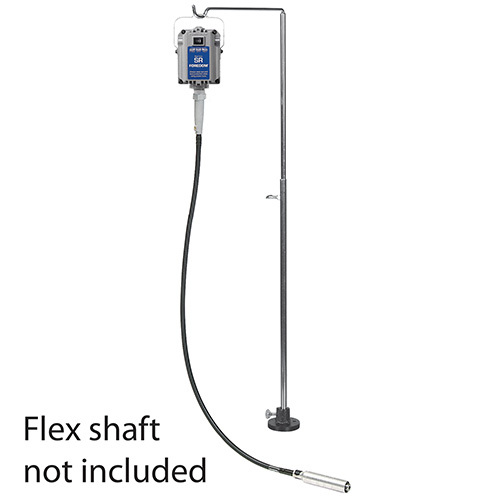 Now you can adjust the height of your flex shaft motor in seconds. Telescoping hanger will extend 42” above your workbench. Height adjustments are made easily with the thumbscrew. Made with a solid mounting base that screws firmly into your bench in seconds. 10” arm at the top allows you to swing your flex shaft motor back and forth with ease. Made in India.